Caterham has surpassed last year’s record-breaking sales achievement. The news comes as Caterham today (October 16) celebrates the 60th anniversary of the very first Seven being unveiled at the Earls Court Motor Show. With more than two months to go until the end of 2017, Caterham has already overtaken its record haul of over 600 orders set in 2016. It’s the second year in a row that the iconic British sports car brand has reported its best sales year, a record that had previously not been beaten since 1996. 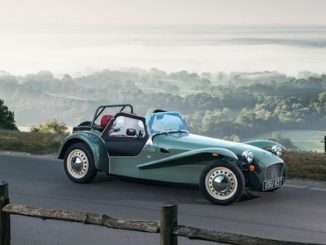 Caterham Cars has joined forces with RS Performance to offer “the ultimate in bespoke Seven coachbuilding” to enthusiasts who want an expression of British sports car exclusivity. Caterham has long been the epitome of personalized motoring with almost every version of the 12 000 Sevens on the road differing from one another. The joint venture takes that famous philosophy to an altogether new level. RS Performance is an exclusive, niche engineering house. Born out of the passion and pedigree of its founder, Russell Savory, it will offer an “everything is possible” service to Caterham customers who want truly “built to order” cars. Using the motorsport-honed Caterham chassis and benchmark technology as a cosmetic and engineering base, RS Performance, will “turn imagination into reality”, Savory said. The heartbeat of every RS-badged Seven will be the unique RST-V8 engine.